Recently Empire Landscaping was asked to consult with this homeowner in Highland Park. The issue was an overly shady spot in the back yard that prevented sustained landscaping growth. The homeowner knew they had many options to choose from but were concerned about finding one that matched the neighborhood and created some visual interest. 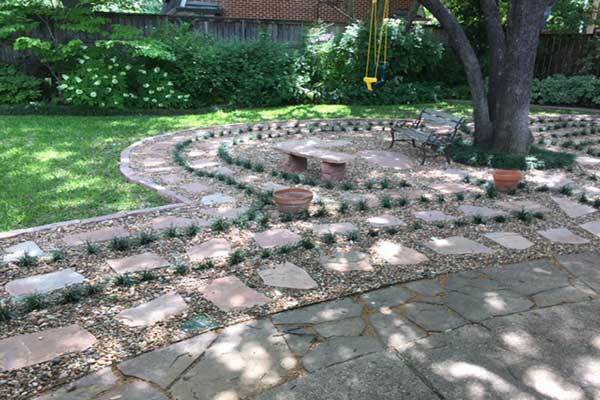 Patrick Wilson, Landscape Designer with Empire Landscaping of Plano met with the family to get a since of their style, needs and the space to be transformed. 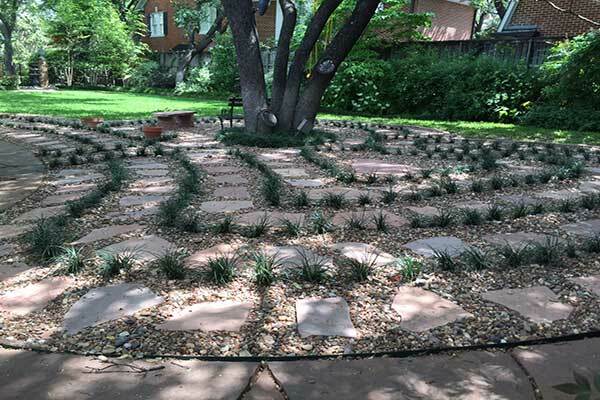 After presenting a myriad of options for the family to consider, they opted for this unique labyrinth design. 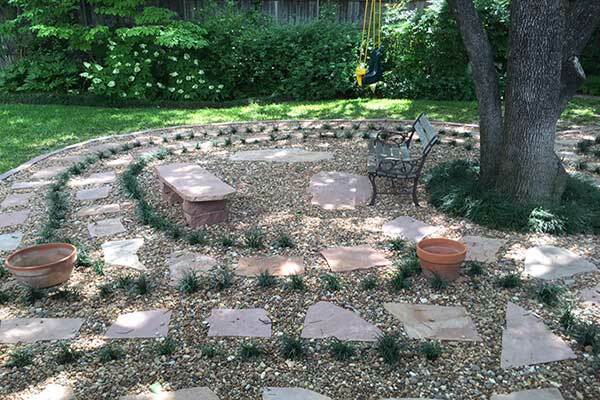 The hardscaping materials selected were Colorado Red chopped stone, Colorado Red Flagstone, Native Rock gravel and Mondo grass. 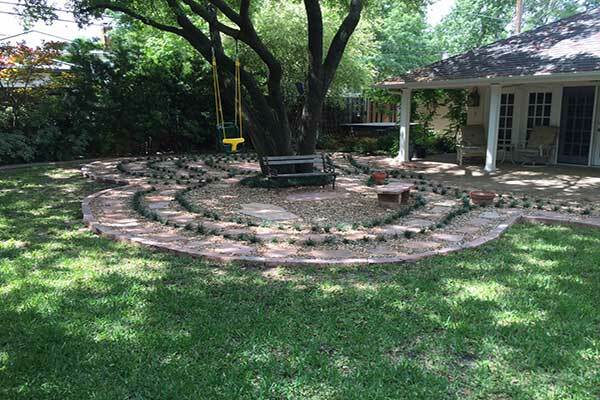 Utilizing these materials, Empire Landscaping was able to help the homeowner maintain the beauty and comfort of the large shade canopy and add this beautiful, low maintenance labyrinth that adds visual interest and is inviting for the kids and pets.